Well, as I said...as I was reading on http://japingape.blogspot.com the Mar 14 episode, I learned of this 8 year old advice consultant going by the name Miss Evie Mouse. 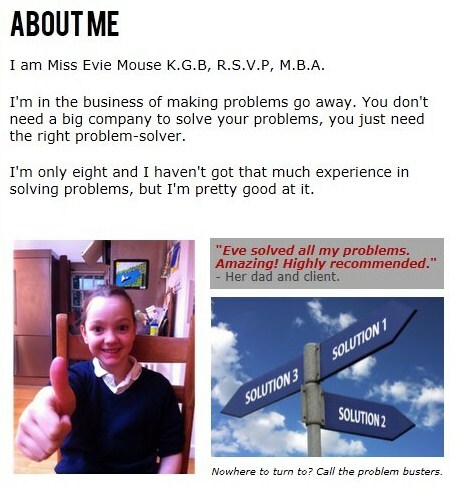 She is very small, but she solves BIG problems...and her website is http://eveproblemsolver.com . now isn't this the cutest thing you've ever seen? or maybe this is the cutest thing you have ever seen..
but I think this is a good place to stop the show and go out on a high note. Once again...God bless you all, and thank you for your support. ...and "reasonable" is in my price range! There is something "human" about that first cat. Reminds me of my kids always tapping on my shoulder when they want something. If there is an 8 yr old out there solving everyone's problems, perhaps we should make her president! Workingdan, I was struck by how human the cat seemed as well. I'm glad you feel better, Jax. I like the end of Rocketship XM. And I can't wait to see what your working on! The little girl problem solver is cute but the cat that wants to get petted is cuter! Now to check out the updated "Does god exist" article! To see if answers have been found on this topic! 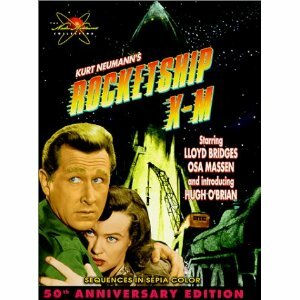 I haven't seen Rocketship XM. No spoilers! Don't ruin the ending! Just kidding. It seems like it would be quite a trip even if I knew the ending. Well done on finding Evie's site! The link I found didn't work, so I gave up and took her word for it. I'm glad she wasn't bullshitting. Obviously she isn't as cute as the kitten, but she could be more useful. How about emailing her one of your problems? You do have a problem, right? Gorilla, I wanted to do just that... but I didn't know how to convert her rates into American currency. Ahhh..there's a problem right there! Oh dammit! Now all my reply comments are clogging up the "recent comments" box. Hopefully, some fine people will stop by and leave some cool comments to rectify this situation. That cat is too cute...and i'm going to hire that 8 year old! I'm sorry, I didn't find any of them cute, as I am a cold, heartless human. I bet that girl's mom or dad or older sibling actually does all of the work on the site, if it is even actually that girl in the picture. It could easily be some person trying to pull a few quick bucks with a few pictures he found online and a good idea. Wow I was just Negative Nancy lol. ...and with this comment, there goes the last lingering thread of any faith I had left in humankind. I am not the type of girl who can handle an excessive amount of cute. The next few hours will be filled with Marilyn Manson's music, and terrible poetry. You did this to me! Oh my God...you must think I'm a monster. Nothing beats free child labour. Damn child labour laws. I had a WTF moment when I saw M.B.A. as well.